Homan Ranch Livestock Homan Ranch strives to offer the best genetics in cattle and horses. Homan Ranch strives to offer the best genetics in cattle and horses. 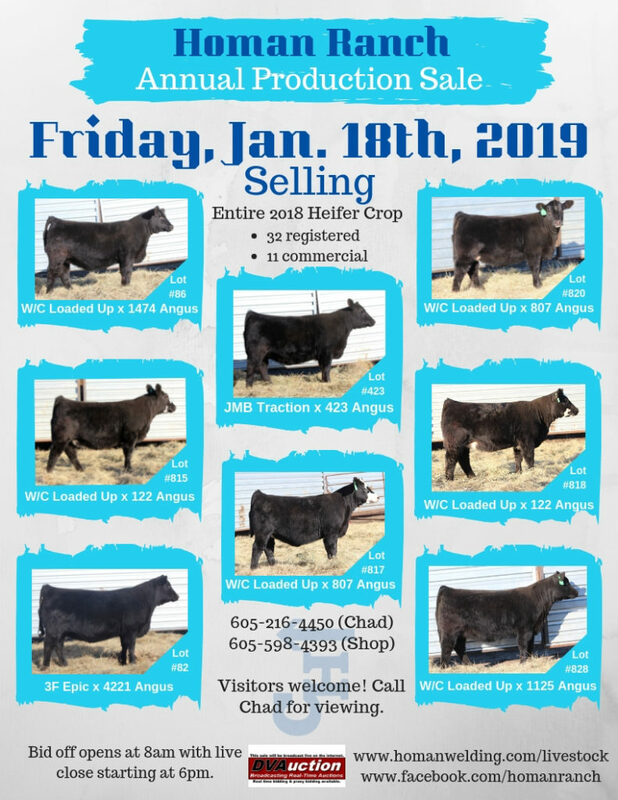 Our cattle operation proudly breeds black Angus and Sim-Angus cows for yearly offerings of bull calves, yearlings heifers, bred heifers, and bred cows. Our yearly equine offerings include yearling and two-year old fillies and colts.